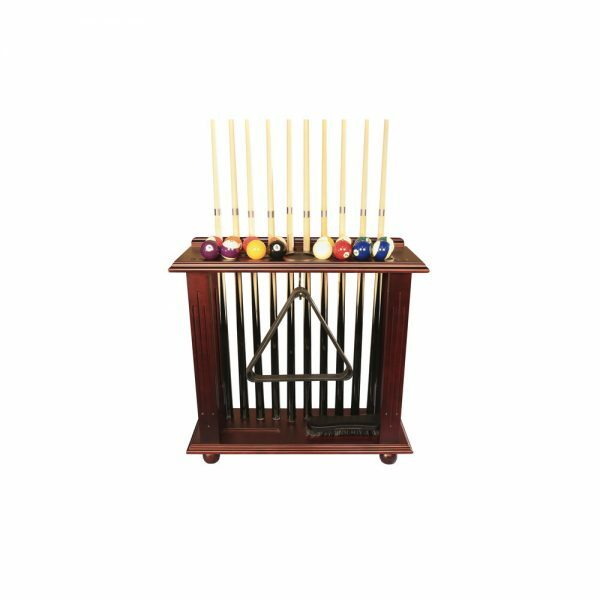 Add a beautiful touch to your pool room today. 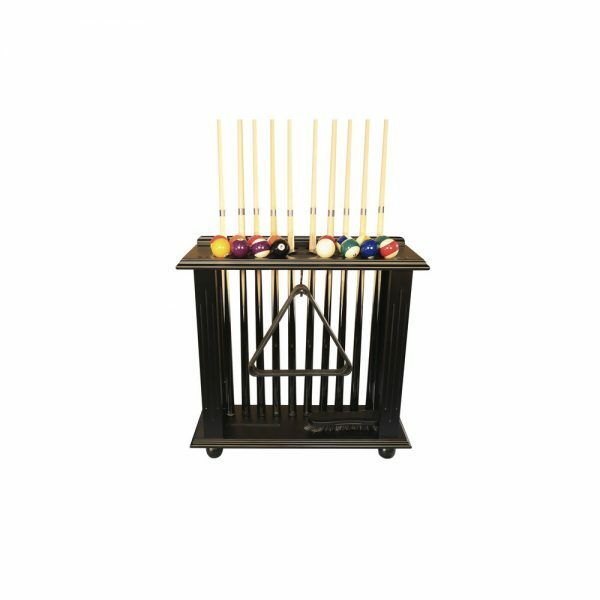 The Floor Cue Rack is an ideal purchase for anyone with a Pool Table. 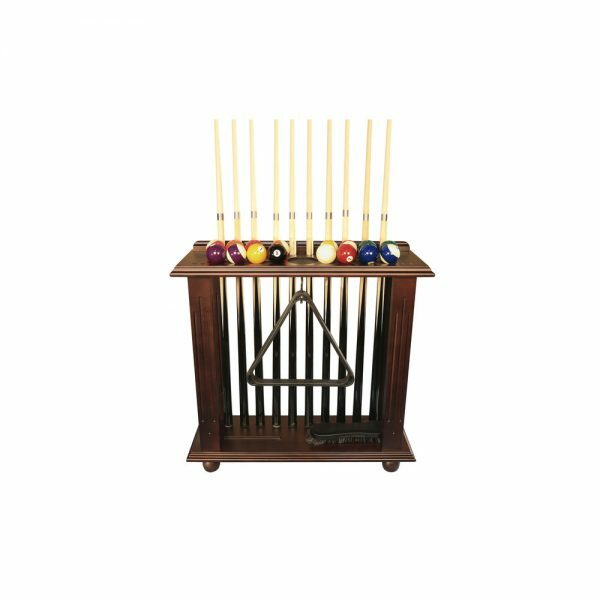 This racks holds 10 cues, 1 set of pool balls, and accomodates most other pool accessories. It is the perfect way to keep your game room organized and looking great. 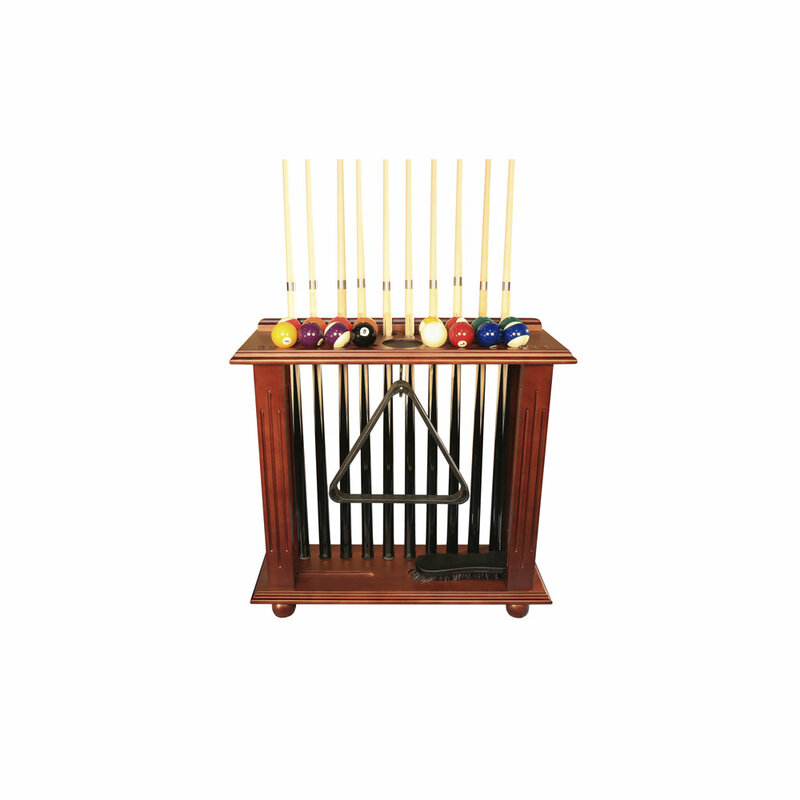 Available in 4 finishes! Complete your game room today with a Floor Cue Rack.